Varuna a Cubewano has Escape Velocity of 0.38 kilometer/sec which is nearly 0.03399 times the escape velocity of the Earth. Varuna has Mass 370 x 1018 kilogram and Surface Gravity is 0.14 m/s2 which is roughly 0.01432 times the surface gravity of the Earth. 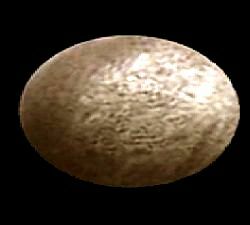 Varuna is a candidate for dwarf planet in our solar system.